Starring Halle Berry, Colin Powell, Morgan Freeman. Honoring African-American Servicemen and Women! 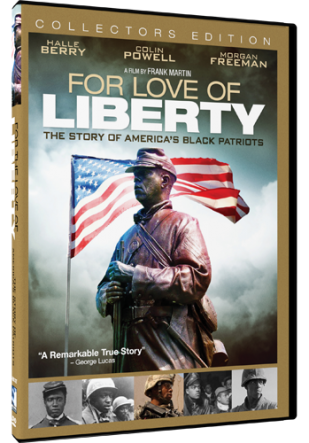 Uncover the true story of our nation’s black heroes and patriots that played pivotal roles in the U.S. Military since the earliest days of the republic. From the battle fields of the Revolution to the deserts of Iraq examine why, despite enormous injustice, these heroic men and women fought so valiantly for freedoms they themselves did not enjoy. Through letters, diaries, speeches, journalistic accounts, historical text and military records discover the fierce and faithful history of our African-American military leaders!